Tesla CEO Elon Musk announced on Tuesday that he’s considering taking Tesla private. 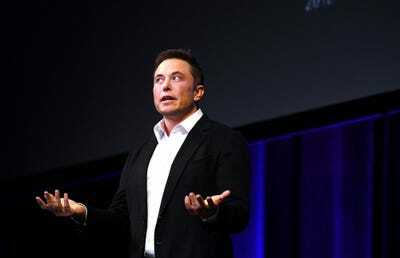 Tesla CEO Elon Musk blew Wall Street’s mind on Tuesday when, just after the Financial Times reported that the Saudi sovereign wealth fund had invested $US2 billion in the company, he tweeted that he was considering taking the 15-year-old company private at $US420 per share. The total value of such a deal would be more than $US80 billion, including debt. Musk owns 20% of the company, so on the equity side he’d need to finance something in the $US50-billion ballpark. Throughout the day, the hazy mechanics of a possible deal were discussed. Is this even something that Musk can pull off? Morality also seeped into the picture. Had Musk done something wrong by tweeting the news? As Tesla stock surged toward its all-time highs after trading resumed, chatter turned to short sellers, a frequent Muskian target. Would they hang in there? By the end of the day, the tech, autos, and financial commentariat was too exhausted by events to ponder some of the broader questions. But a new day dawns! So we can take a close look at why a private Tesla makes perfect sense. Tesla has been an extremely volatile stock. Tesla staged an IPO in 2010, and it was relatively modest: the company debuted at $US17 and raised just over $US250 million. For years, shares went nowhere. Then, when the Model S sedan arrived in 2012 and won Motor Trend’s Car of the Year, the rocket lifted off. Now, Tesla has a market cap of $US60 billion. Last year, it sold 100,000 cars. General Motors is worth billions less. Last year it sold over 10 million cars. Tesla has never made an annual profit. GM has, since its own 2010 IPO following bankruptcy, made more than $US70 billion. This situation means that Tesla represents both a huge bet on the future – and a valuable realm of high-yield speculation. Since the financial crisis, the world has been awash in money. But investors have struggled to find great returns. Tesla has offered one, up over 1,000% since 2010. The trade-off has been dizzying volatility. For market pros, this is great. For Tesla as it has grown, the volatility been a curse. Stock-market swings can’t be your main product. But the war between Tesla longs and Tesla shorts, for more than six months, has overwhelmed any positive news coming out of the company regarding its vehicles. The business is on track to produce nearly 100,000 vehicles by the end of the year, perhaps stretching into the first quarter of 2019. That twice as many as 2017. Nothing volatile about this progress. And it’s going to show in substantial topline revenue improvement. The next few years should see a lot more money sloshing through Tesla than the company has enjoyed in the past. Tesla is the most shorted stock on Earth. Short-sellers are a fact of life in the modern markets. The argument in their favour is that they correct for market inefficiencies, pulling back stocks that have surged too far. Unfortunately, the intense short interest in Tesla is of the “go to zero” variety. It isn’t like Tesla at $US300 per share should fall back to $US250 – rather, the balance sheet has to be a breeding ground for bankruptcy. This incentivizes short-sellers to make increasingly preposterous cases. After Musk’s announcement on Tuesday, his nemesis on the short side, Jim Chanos, commented to CNBC that Musk’s real problem isn’t shorts but impending competition. Chanos perhaps thinks that the German carmakers, by bringing electric vehicles to market, will chip away at Tesla’s head start. But, of course, this overlooks the fact that Musk has never wanted to be a market of one. Tesla’s existing vehicles compare favourably with their current gas-powered counterparts, and that won’t change when more EVs arrive on the scene. Consumers will simply be able to make true apples-to-apples comparisons. And from Musk’s perspective, one company making several hundred thousand electric cars annually isn’t going to get it done. In the US along, 17 million vehicles were sold in 2017, and about 99% ran on gas. Musk wants Tesla to be a company, not a financial invention. Tesla became a financial battleground when the stock took off in 2013. At the same time, it has been growing as a company: increased vehicle production, additional factories, new lines of business, M&A activity, and now more than 30,000 employees. The back-and-forth between the two identities has been wrenching, in a world of 24/7 financial scrutiny. Periodically, Wall Street falls into crisis over its Tesla story, with bulls enthusing over the stock and forgiving the work-in-progress that is basically a fairly small automaker. The bears preoccupy themselves with Tesla’s failures, which are at this point predictable – and have been routinely overcome. 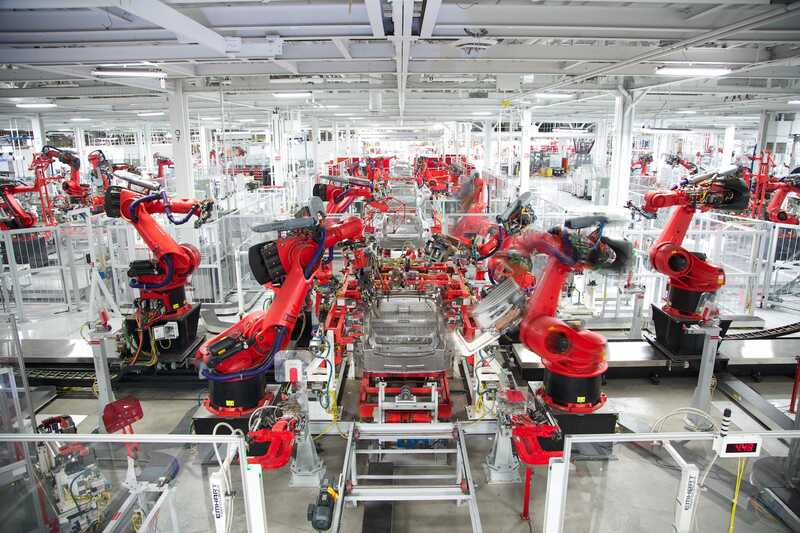 Like most companies, Tesla wants to create compelling products. This it has done. Customers have been widely satisfied, and in many cases completely delighted. Investors have also been pleased. No long-term Tesla shareholder of any scale is disappointed. And yet the preoccupation with the stock’s ups and downs dominates the conversation around the company. In 2018, Musk has declared that Tesla will be profitable by some measure, and that’s because he wants to disconnect the company from the expectation that it will continue to use Wall Street as its ATM, even though raising capital by selling shares in a company that’s posted a massive long-term return makes sense. Tesla, like any company, will need to raise money in the future to fund its expansion. But Musk wants it to do that as a company, not as an endlessly debated financial entity. Musk has been thinking about going private for some time. In an entertaining 2017 Rolling Stone profile by Neil Strauss,Musk revealed his thoughts about Tesla, post-IPO. Musk’s other company, SpaceX, remains private, and Musk has obviously become a student of the contrast between the two. Tesla has a lot to do over the next five years and needs to get the stock market off its back. If Tesla is going to achieve its objectives through 2023, it’s going to require a massive amount of money. If its revenue continues to ascend, then at some point it will swing to profitability. But those profits might not be enough to fund stuff like multi-billion factories and new products, such as the Tesla Semi. Companies that are on the public markets can be damned if they do and damned if they don’t. Some investors want capital investment to achieve future growth. But others want profitability to bolster the balance sheet. So for Tesla, as a public company, every move is closely scrutinised, quarter by quarter. Given its mission – to move the world away from fossil fuels – this is too fractured a time frame. Musk would probably prefer five-year chunks. Or ten. We already know that the company’s Model 3 production system has been designed for a decade of output. This is the logical time-frame for industrial investment. For Tesla, however, some investors think of the company as operating according to quick-pivot tech protocols. As a private company, that expectation could be eliminated.